Few days ago Researchers at the Massachusetts Institute of Technology found vulnerability on U.S. power grid cyber security system. 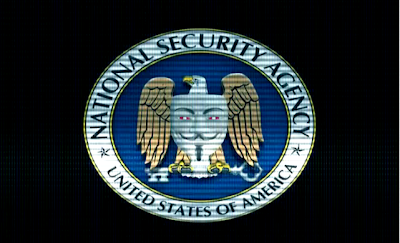 Yesterday General Keith Alexander The head of the National Security Agency suspected that hackers from Anonymous are going to exploit the vulnerability & shutdown the entire U.S. Power Grid. Later Anonymous responded while releasing You Tube video where they have clearly stated that they are not going to hit US Power grid because thousands of people rely on electricity for everything they do; hospitals even need this electricity to save lives, and taking out the power grid would cause harm to the very people we (Anonymous) wish to protect. There is no valid reason for us to shut down the power grid, as far as we are aware. Any such predictions by the various government, security, and intelligence organizations are likely attempts to instill fear into those that don't understand this, and to discredit Anonymous as a whole. Your statement regarding the potential future sabotage of power grids by Anonymous, disgusts us to the core, as it is clearly an attempt at fear mongering. The idea that Anonymous would shut down one of the most vital resources for it to operate, is ludicrous. While security and intelligence organizations throughout the world attempt to depict Anonymous as a 'terrorist organization', many people understand that this same subset of Anonymous they speak of, is actually a movement for freedom. This appears to scare government organizations, to the point where they might do anything in an attempt to discredit Anonymous, and make people believe Anonymous exists solely to harm innocent people. Are these claims and predictions an attempt to falsely accuse Anonymous of something that will happen in the future - maybe even being orchestrated by the same government organizations that are now already blaming Anonymous? Many people have warned about the sad state of the power grid infrastructure in the past, but why would we shut down our own computers and other communication tools? Thousands of people rely on electricity for everything they do; hospitals even need this electricity to save lives, and taking out the power grid would cause harm to the very people we wish to protect. There is no valid reason for us to shut down the power grid, as far as we are aware. Any such predictions by the various government, security, and intelligence organizations are likely attempts to instill fear into those that don't understand this, and to discredit Anonymous as a whole. For once don't expect us."